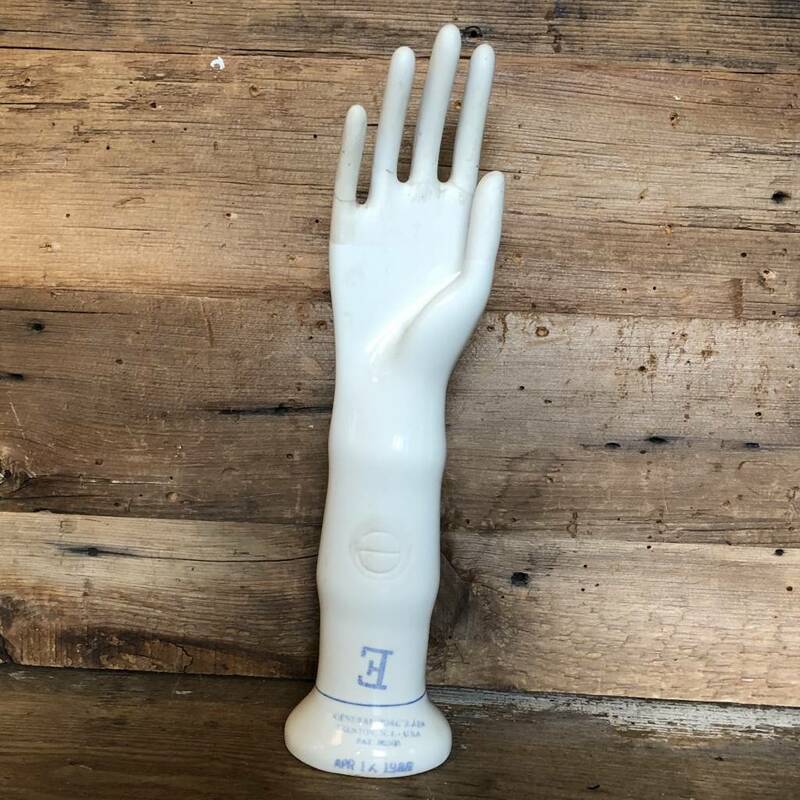 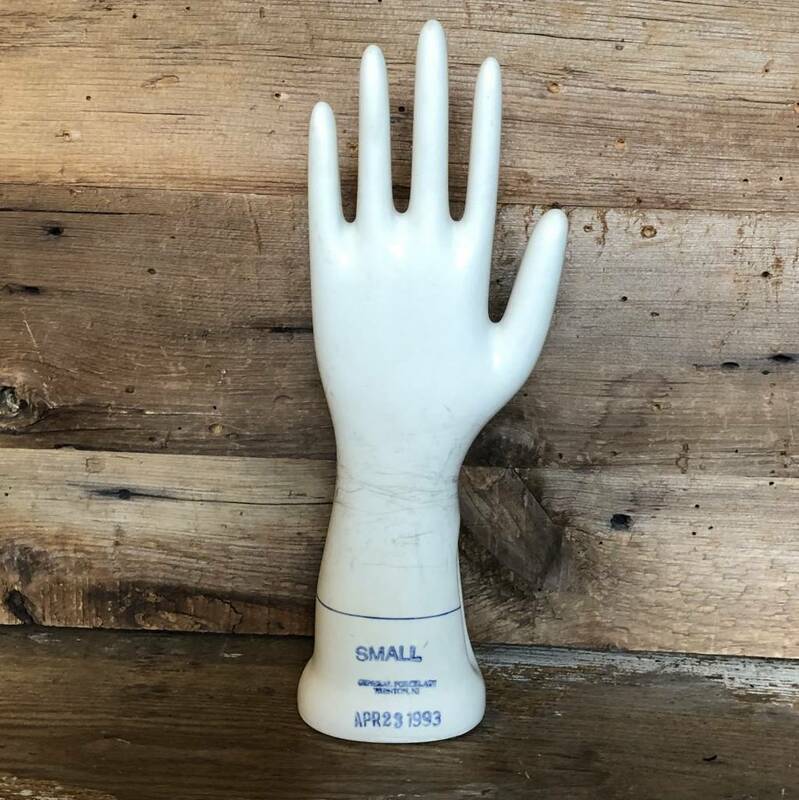 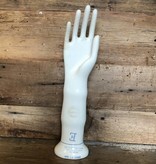 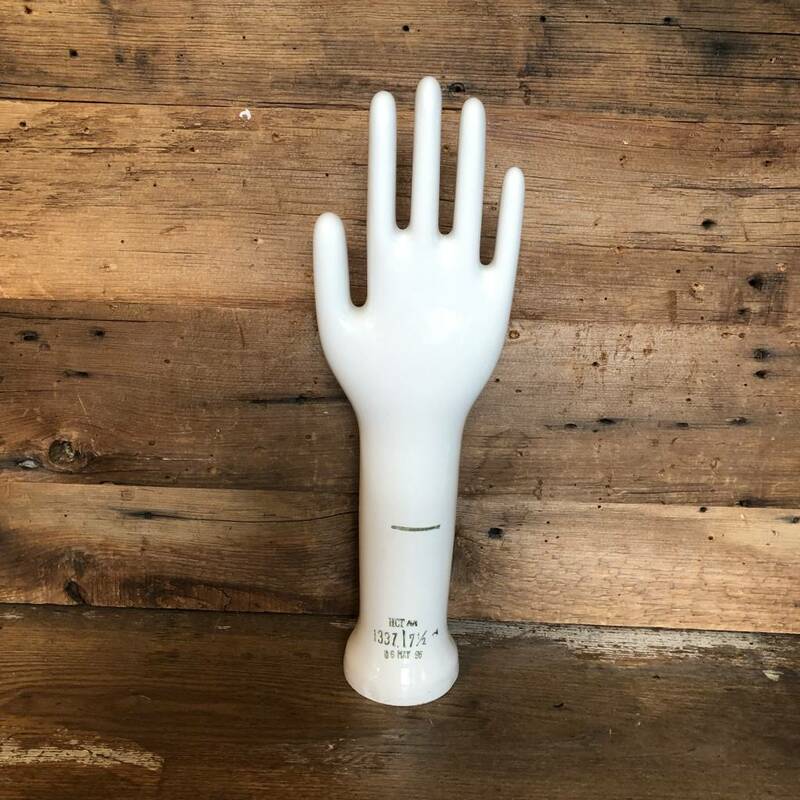 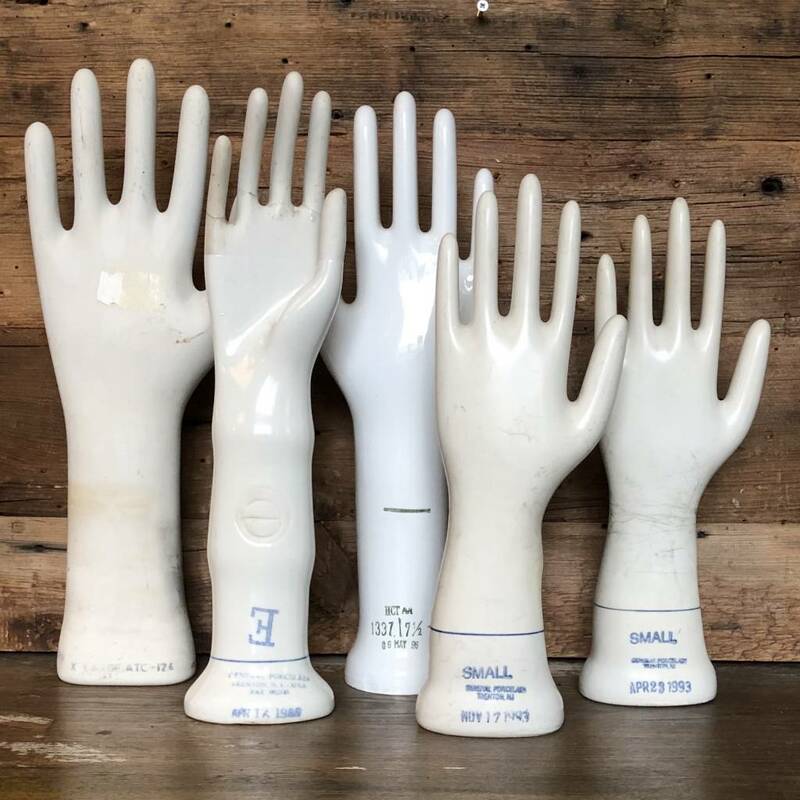 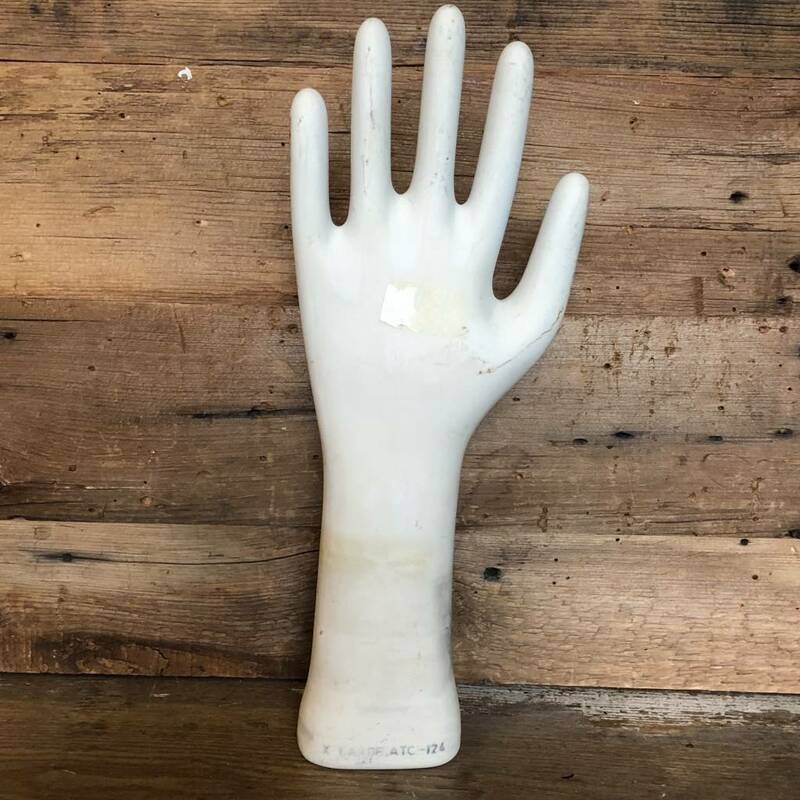 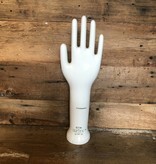 These industrial vintage glove mold hands are highly collectible. 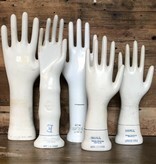 They are made from white porcelain. 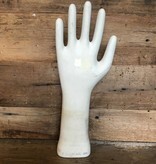 Because they were actually used in glove factories, especially rubber gloves, they show the wear and tear from use. 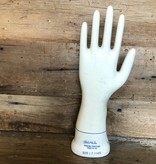 Each one is stamped with a date. Some have a size stamped on the hand as well.